A 24 hour emergency dentist is a miracle when it comes to dental issues that keep you up at night. Assuming you have a knocked out tooth that seems to be causing immense pain forcing you to seek medical attention, you could make a walk-in appointment at an emergency dental care center. Not only will they handle your problem in a short span of time, they will also make sure that they do a good job of it. The dentists and the dental care centers in Louisiana are many, each having a speciality or another. Over 220,000 people reside in the county of Lafayette, making it the fourth largest area in Louisiana. Lafayette is renowned for its spices and flavors when it comes to food. As a matter of fact, all “Cajun” dish roots go back to Lafayette. 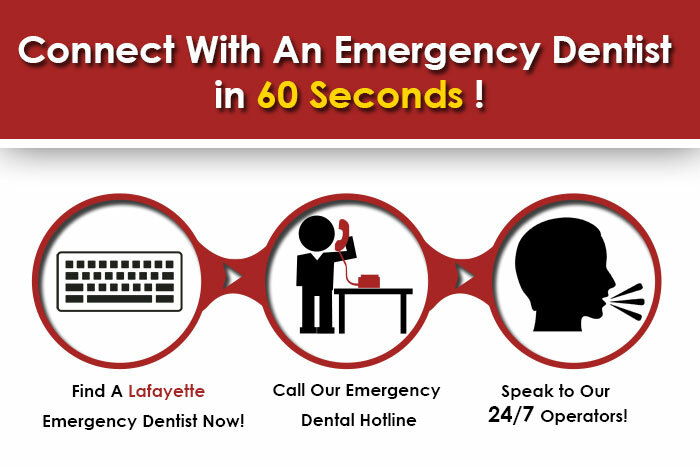 With there being a high rate of increase in the number of the total population per year, Lafayette requires a good bunch of dentists and dental care centers. These dental care units will tend to the likes of toothaches, veneers, crowns, and much more. Started in the year 2007, this dental center could be reached via this number: 337 233 5494. The Petry Family Dentistry is well-known for providing their patients with the chance to give their opinion on dental care options, lest they require serious treatment. Their website holds proof of their exemplary work, presented in the form of pictures of content customers. This dental care center is open on all days, except Saturdays and Sundays. From Monday to Thursday, they are open from 7.15 a.m. to 4.00 p.m. On Fridays, they are open from 7.15 a.m. to 12.00 p.m.
Be it sedation dentistry, preventive dentistry or even prosthetic dentistry, Dr. Young knows the right way to handle your dental issues and your queries. To place an appointment, all you need to do is call at 337 237 6453. His website includes reviews and an online form, which also allows you to book a meeting. A dental center that allows you to sign up for a bunch of memberships, assuming that you are eligible to do so, the Theriot Family Dental Care can be contacted at 337 984 3408. New patients are required to place a call at 888 877 0740. Owner of commendable technology that allows the dental team to solve your problems in a jiffy, this dental care center could be reached after hours for emergencies. Just a call away at 337 326 5303, this dental unit is available on all days of the week except Saturdays and Sundays. From Mondays to Thursdays, they are open from 7.30 a.m. to 4.30 p.m. On Fridays, this dental care center is open from 7.30 a.m. to 2.00 p.m.Specializing in a bunch of dental services, the Barras Family Dentistry loves to bond with its customers.